Adrienne Warren makes her West End debut as the title role in Tina The Musical. Her must recent Broadway production was Shuffle Along as “Gertrude Saunders/Florence Mills,” receiving a Tony Award nomination for Best Performance by a Featured Actress in a Musical. 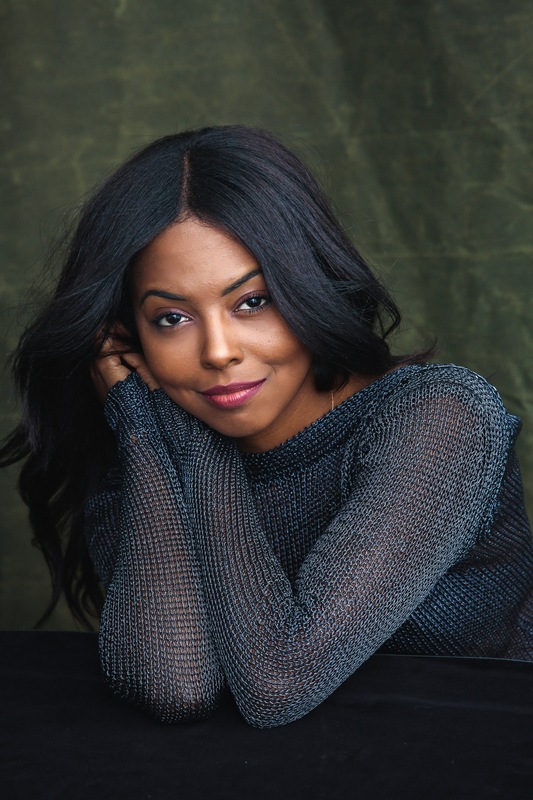 Recently she finished filming the CBS pilot Perfect Citizen and was in the Apollo Theater as Lorrell in Dreamgirls, followed by a national tour. Other New York theatre credits include: The Wiz at Encores City Center. Warren has toured and recorded with the multi-platinum selling Trans Siberian Orchestra in which she received her first Platinum and Gold records. Her live performances credits include The Today Show, The Wendy William’s Show, America’s Got Talent, the 67th annual Tony Awards. TV credits include the Amazon Pilot Point of Honor, Orange is the New Black, Blue Bloods, Royal Pains, People in New Jersey, Irreversible, and Black Box. In March 2017, Adrienne made her Carnegie Hall debut with the New York Pops. The actress is currently the voice of Maybelline New York. Adrienne talks to Alt A about Tina the Musical. How do you prepare to play such an iconic character and a living legend? Prior to my arrival in London, there was a lot of physical and vocal training that took place in preparation for this role. Tina is known for her energy onstage and her iconic voice. It was important to me to build up my stamina as much as possible so that I may bring 100 percent of myself to this role because that is what she brings to every audience. There are no short cuts. Have you consulted with Tina on playing this role? I have had the honour of spending a little time with Tina. So far we have met at the workshop, performed together at our launch and have spent time together in rehearsals. I was able to ask her many questions about her life, her performance style, even what she used to eat for breakfast. These were very special moments. Ones I will never forget. Are you looking forward to working in London, do you have any fave places? I am very much looking forward to spending this time in London. I haven’t had much time to explore as of yet, but I can’t wait. The audience can expect to learn and be moved by the joy, love, heartbreak, and triumph of the Queen of Rock and Roll. They can expect to hear their favourite Tina Turner songs in ways they’ve never heard before. It will be a night to remember. As a Tony nominated actress, you have a string of credits for both screen and stage which do you prefer? I love creating new works. I love working on impactful material that moves me and pushes boundaries. As long as I am working on material I am passionate about, I love them both, but theatre is my home. What role would you most like to play? I’m playing it. Doesn’t get much better than this! How do you think the conversations started by the #Metoo and #Timesup movements will change the industry if at all? The #Metoo and #Timesup movements are changing the industry. We are watching it happen in real time. When women combine forces and resources to challenge agencies with #50/50 by 2020, the industry is changing. When unions are approached to collaborate in order to create a sexual harassment code of conduct, the industry is changing. It’s time. What was your first real acting job? In college, I was hired in the ensemble of a Dreamgirls Anniversary Summer production starring Jennifer Holliday as Effie White. That might not be my first but for now will stick with that! What does a movie like the Black Panther mean in terms of representation? Black Panther is a game changer. Little black boys and girls now have a movie, a superhero movie, where they can see themselves represented with dignity, strength, beauty, grace, and nobility. Name 3 people who have influenced or inspired you in the industry? I am unbelievably inspired by Viola Davis, Ava DuVernay, and Audra McDonald and of course Tina Turner!